Many people wonder why some businesses require them to sign a receipt when they pay with a credit card, while others just give a receipt immediately. What’s the difference? How can a business get paid for a charge if the customer didn’t sign? The answer is pretty simple: banks charge businesses different amounts of money for credit card transactions based on a number of variables, e.g. whether or not a signature was given at the time of sale, whether the amount of the sale was over a certain amount, or for online purchases whether the CVV number was given. This is because banks are responsible for fraudulent charges; they charge businesses different prices for transactions based on the chances of that payment type being fraudulent. A higher number of transactions without signatures are fraudulent, so banks charge businesses less per transaction if they gather a signature. And many banks adjust their fees for non-signed transactions based on cost as well, so you might not have to sign for something under $25, for example, but have to sign for anything over that amount. And it’s the same with online purchases. 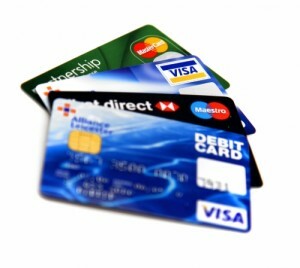 Some merchants require the CVV, and others don’t. It’s up to the business; if they want to pay less for credit card business transactions then they’ll have to bother their customer for a CVV on each purchase. The bank charges them less because if someone submits a CVV there’s a higher chance they have the card, and therefore a lower chance that the number has been stolen separately.